A new post each day in July by a different Deadly Blogger. An event inspired by NAIDOC Week and Black History Month. Hope you can join us. 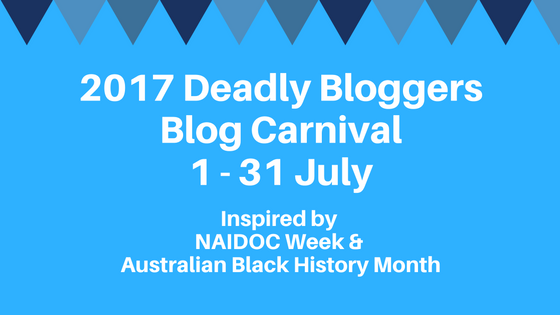 Go to the Deadly Bloggers Blog Carnival 2017 Sign Up Sheet and add your name. When you post on your blog we will share the link with our audience.